Not long ago, memory cards had no universal standard existed in so many different formats standards and this cursed so much confusion not just for customers but also for memory card manufacturers as well to say the least, completion for market share was intense; xD-Picture, CompactFlash, SmartMedia, Memory Stick (by Sony) and Multi-Media Card Competed for control of the market, however thanks to smartphones (and tablets) one format not only survived but thrived. A Memory Card Expands The Memory Of your Mobile SmartPhone for More Music, More Pictures, More Games. 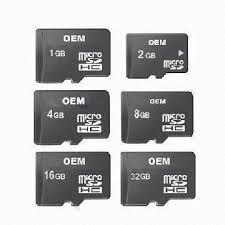 So in the end the overall winners of the memory card wars was MicroSD and its big brother, SD (Secure Digital) and also in turn this really helped accessory manufacturers make a huge profit providing memory card converters and readers to thousands of SmartPhone users worldwide. So the good thing is thanks to economic balances of the market, prices have gone down greatly in the last few years . 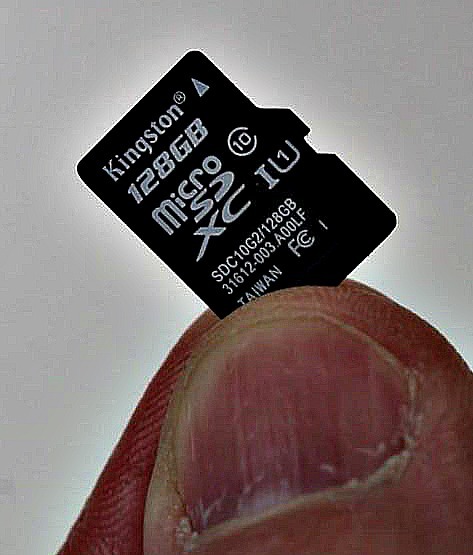 So much so and mainly because Micro SD cards in essence really use the same fundamental component as memory sticks; in essence it's the internal memory of smartphones. 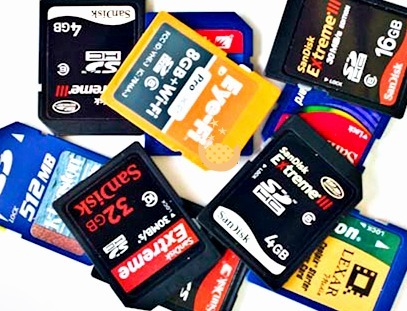 As far as buying your memory from auction websites especially from sellers with very few feedbacks, could be at your own risk, as these drives could turn out as fake memory cards. phoneismobile bring you good researched trusted ones, to ensure peace of mind. To really gets your money's worth try to get ones with capacities are or bigger than 4GB why? 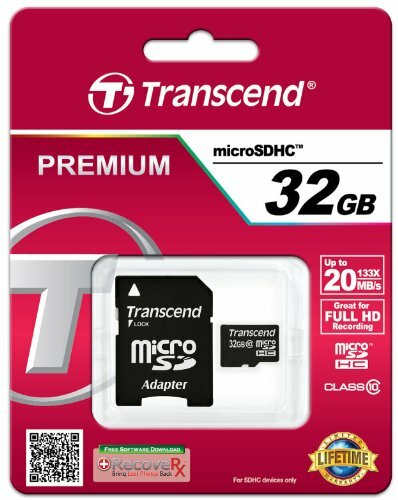 Because It's not really worth it when looking for memory cards simply based on the price, as the price difference you pay for twice or even four times the storage is really very small. And for speed? A Class 4 card is will deliver at least 4MBps and a Class 10 should go past 10MBps. 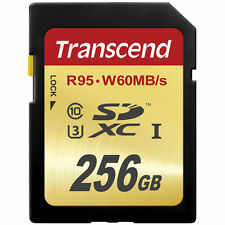 SD cards are divided into classes which gives an expectation of the minimum performance needed. 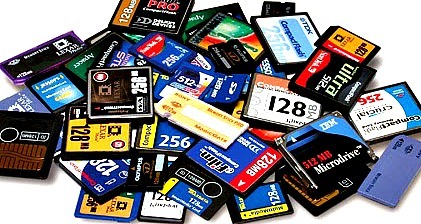 Especially for low-cost models it's a good to note Make a not of the delivery price and include it into the total end cost as most often you may end up paying more postage than the memory card itself (so 4GB or above could be economical). If your device is SDXC compatible, and If you plan to go for large capacity cards make it 32GB or more. A MicroUSB card reader may be needed, that's if you plan to shift files to and from your smartphones (portable devices or tablets), such as the Kingston MicroUSB card reader access. 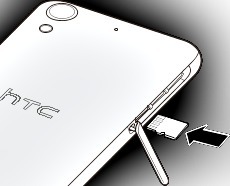 If you simply plan to store data on a MicroUSB card, don't, they are meant to be volatile for every day use. Memory sticks are more static plus in addition more cheaper and more robust, so a much better choice. As Mobile Phone users usually settle for 64GB as this mirrors the maximum supported capacity of most devices. SD cards are generally cheaper at 128GB and above. And MicroUSB cards with adaptors, even cost less than the equivalent SD card. 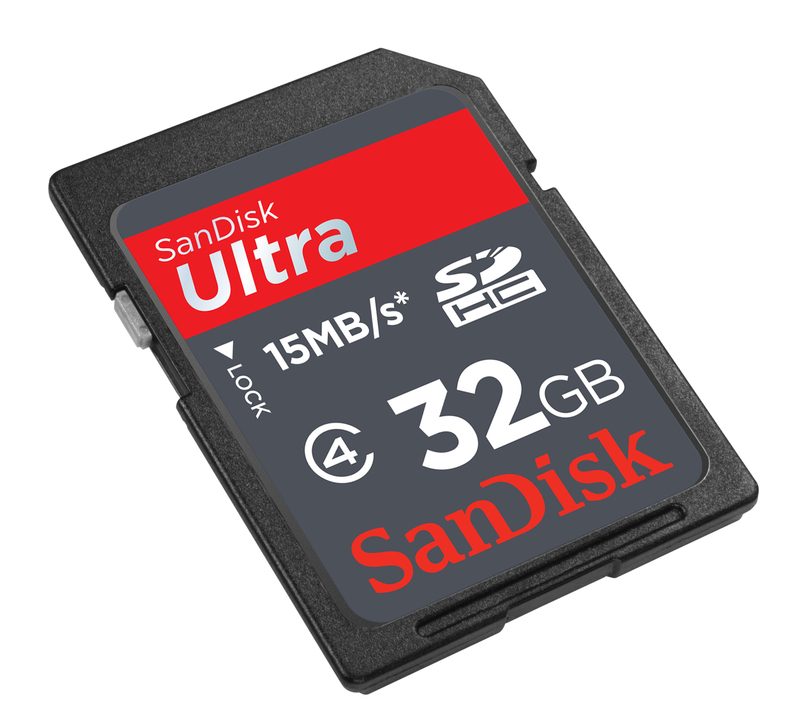 MicroSD card capacities are likely to be less than stated when they are formatted. So in other word you get more out of today's digital world has to offer with MicroSDHC memory cards. 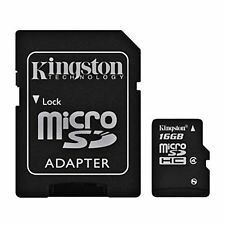 with Kingston's Micro SDHC card, your SmartPhone content is no longer tied to your phone and this make it Ideal for transferring huge files such as photos, videos, and music off the card. And in addition with the SD Card supplied an adaptor, it becomes a One card for all, making it really versatile. 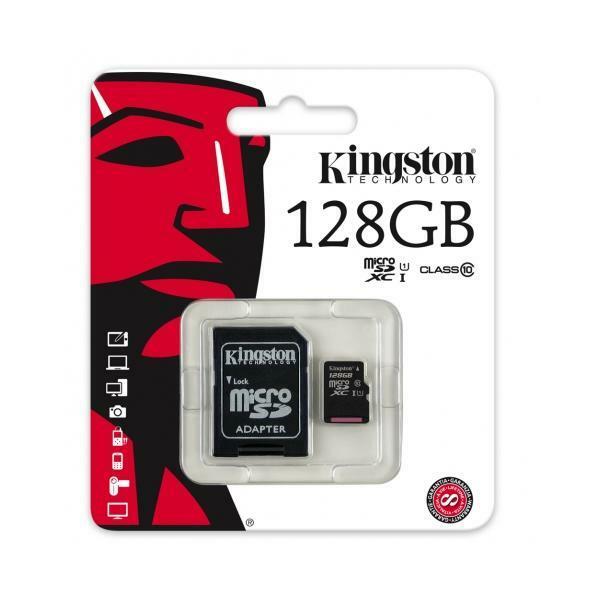 So the bottom line is whether you need it for taking photos to capture those memorable events of friends or for filming high-quality video or storing music, these memory cards will stop you from running out of storage. 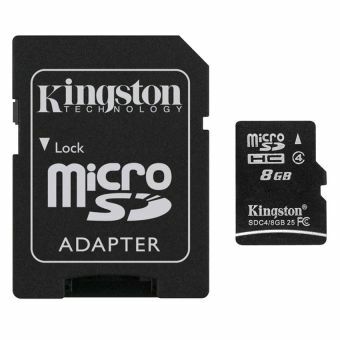 The Kingston Class 4 MicroSDHC card (below) allow you to go a much longer time before needing to upload your files to a PC or other stand alone devices to ensure that your files are stored safely. Excellent for mobile phones and digital cameras with Limited Lifetime Warranty , Has a built-in Error Correcting Code (ECC) that locates and correct transfer errors RoHS compliant. 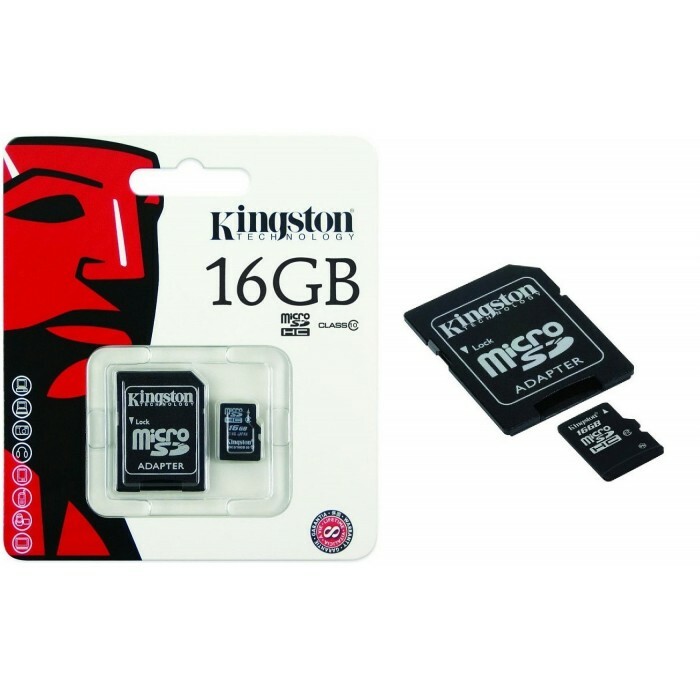 With class 10 data transfer rates (minimum of 10MB/s) it's excellent for HD video recordings and ofcurse Kingston quality assured SD adapter included so you can make the most of your mobile devices. The Class-10 card (below) has a card adaptor and comes with recovery software known as RecoveRx. Read/write Speeds of 17MBps and 20MBps respectively, are quoted by the manufacturer that's on par with UHS-1 cards. 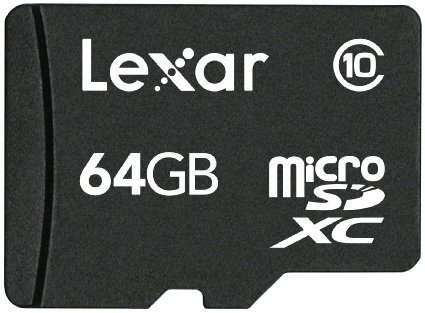 Good to take note that Lexar is owned by Micron, one of the most well known brand names in storage Like Kingston, so If your not familiar with the brand, then you may not be alone. Without a card adaptor this is a Class-10 card and note that this size is the sweet spot, so pound for pound, that's without a card adaptor. It's the cheapest per GB price at just only 21p. Prices creep up significantly beyond 128GB, without any major performance improvements gain as it's still a Class 10 device (right) which turnout into 10MBps transfer rate speeds. Also comes with a lifetime warranty and card adaptor. You can add extra storage to your SmartPhone for your music, video, apps and so on. If your Phone has expandable storage as many smartphones do, the expandable component will most probably be a MicroSD card. 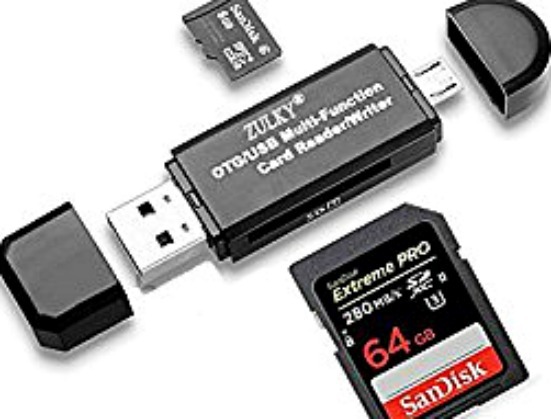 For as low as £3.56 you can add an expressive 32GB of capacity with a cards like this (left), it works up much cheaper than having to fork out for a higher-capacity Mobile Phone. Always go for large capacity options up to 256 GB that's if you don't want any interruptions, without changing cards.